Discover ranks at the top of J.D. Power’s Credit Card Customer Satisfaction Survey, but how does it’s travel credit card stack up? The Discover it Miles lets you earn 1.5 miles for every dollar you spend on credit card purchases. This goes for all purchases, not just travel-related purchases. As with most credit cards, balance transfers, cash advances, and fees don’t count for rewards. Miles are worth one cent as a statement credit towards qualifying travel expenses. In the first year, new cardholders earn double miles, which is great for big spenders. And as an added bonus, there’s no annual fee or foreign transaction fee. 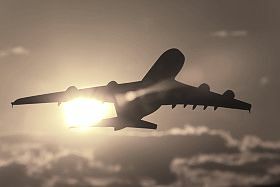 You can redeem Miles in any amount (you don’t have to wait until you accumulate 500 or 1,000 or some other increment of Miles) for a statement credit or a direct deposit to your bank account towards travel purchases like commercial airline tickets, hotel rooms, car rentals, cruises, vacation packages if they’re purchased through the airline. See your terms and conditions for all items that qualify for rewards redemption. Cardholders get a credit for up to $30 for in-flight wifi each year, made as a statement credit within 7 days of the purchase. The credit can’t be used on airport or other wifi purchases. Unused credits don’t roll over to the next year. The year is based on your anniversary date, not the calendar year. Make your purchase by swiping your card or entering your card number online. If you make the purchase using near field communication, virtual wallet, or a similar technology it may not qualify for rewards redemption. No blackout dates and you can use your Miles on any airline, any time. However, you can’t transfer Miles from another frequent flier program. There’s no annual fee on the Discover it Miles card. Purchases and balance transfers have an introductory promotional rate, but the rate is different for both types of transactions. Purchases have 0% APR for 12 months, then 10.99 to 22.99%, depending on your credit rating. Balance transfers are charged 10.99% APR, then 10.99 to 22.99%. The balance transfer fee is 3%. If you take a cash advance, it’s assessed 24.99% and a fee of $10 or 5% cash advance fee, whichever is greater. Discover doesn’t charge a late fee on the first late payment and there’s no penalty APR if you’re late on your payment. You can, however, be charged up to $35 late fee if you’re late on a second payment. You have until midnight (eastern) on your due date to make your payment by phone or online. Returned payments are charged a fee up to $35. Stay updated on your credit rating with access to your free FICO score each month. Discover is the only credit card issuer to offer Freeze it, a feature that lets you “freeze” your credit card and prevent new purchases, cash advances, or balance transfers on your account. You can freeze or unfreeze the card from Discover’s website or the mobile app. Don’t confuse this feature with a security freeze, a fraud prevention measure that prevents thieves from opening new credit accounts in your name.